Like many other Etruscan towns, Volterra stands atop a Tuscan hill and overlooks the surrounding green hills. Thousands of tourists visit Volterra every year and admire the ancient Etruscan findings the surrounding countryside is rich in and the numerous monuments and museums in the city centre. If you are planning to spend your holidays in Volterra, visit Florenceholidays.com: you will find a wide selection of luxury villas in Volterra and in the surrounding countryside - luxury villas with swimming pool, prestigious apartments in villas, ancient farmhouses that have been renovated and transformed into luxury villas. Look for the accommodation for your holidays in Volterra countryside in this page and in our website. Rent one of our luxury villas for your holidays in Volterra. 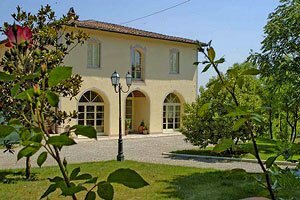 Villa near Volterra for holidays in the Tuscan countryside. 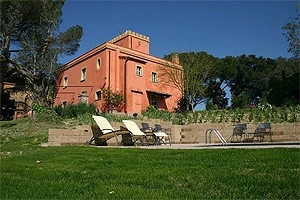 Villa with accommodation for 7/9 people, swimming pool, garden, hydro massage, air conditioning. 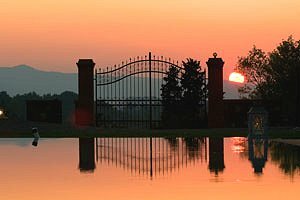 Luxury villa in San Miniato (Pisa) in Tuscany. Luxury villa with accommodation for 14 people, air conditioning, garden, swimming pool, golf near the villa. Luxury villa sleeping 10+3 in Valdera, near Volterra (Pisa). Swimming pool with whirlpool corner, wide garden, air conditioning, Internet connection, panoramic position, children`s toys. Spas of Casciana Terme within a few kilometres. Tennis courts, golf club and riding stable nearby.